A work of striking originality bursting with unexpected insights, The Human Condition is in many respects more relevant now than when it first appeared in 1958. 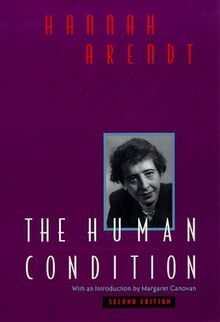 In her study of the state of modern humanity, Hannah Arendt considers humankind from the perspective of the actions of which it is capable. 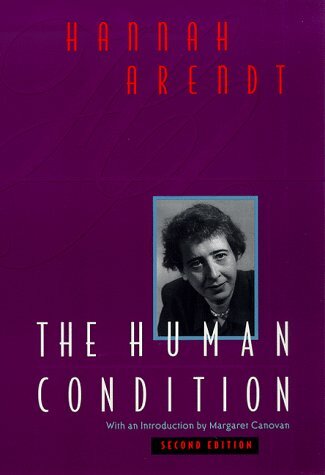 The problems Arendt identified then -- diminishing human agency and political freedom; the paradox that as human powers increase through technological and humanistic, inquiry, we are less equipped to control the consequences of our actions -- continue to confront us today. This new edition, which coincides with the fortieth anniversary of its original publication, contains an improved and expanded index and a new introduction. by noted Arendt scholar Margaret Canovan which incisively analyzes the book's argument and examines its present relevance. A classic in political and social theory, The Human Condition is a work that has proved both timeless and perpetually timely.